Fiber Flux: 2018 Fiber Flux Granny Stashdown Challenge! 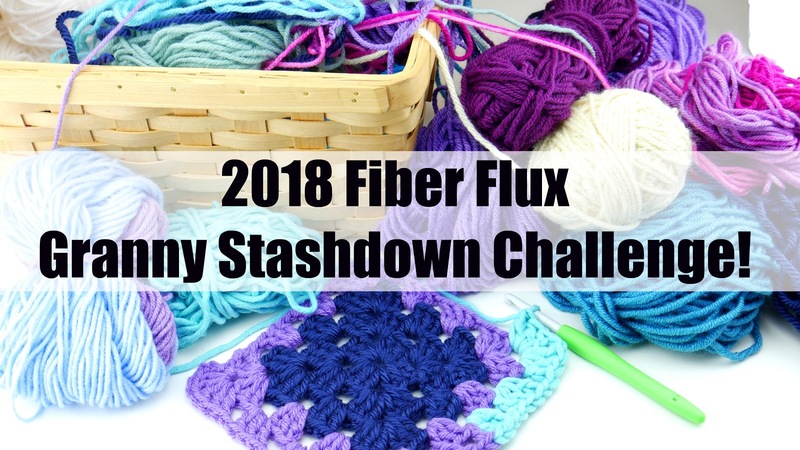 2018 Fiber Flux Granny Stashdown Challenge! With 2017 behind us, it's time for a stashdown! I'll be the first to admit...I'm a total yarn hoarder. I have so much of it in baskets, random piles, cabinets, bins, you name it! This year I wanted to make a commitment to myself to use as much as I already have on hand. Now, you still might catch me wandering down a yarn aisle or two, no promises there! BUT, I'm sooo ready to de-stash! Do you want to join me on a de-stash adventure? This year we're going to make a fun large granny blanket, as large or as small as you want, using yarn on hand as we go! 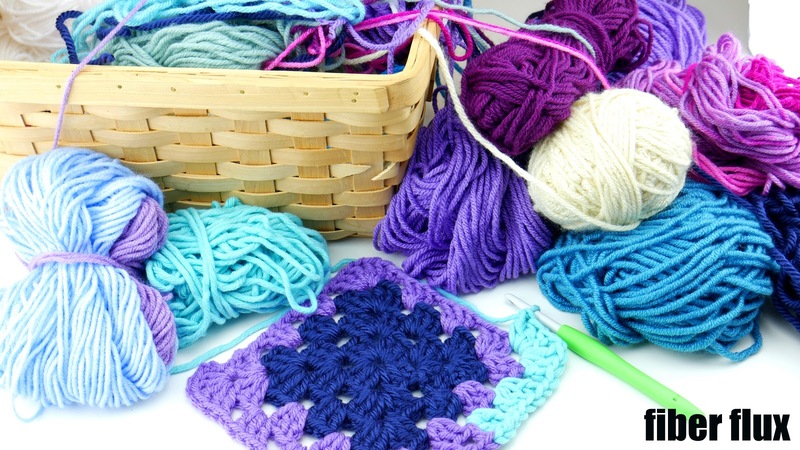 I love granny squares, they were one of the first things I ever crocheted and they are beautiful and relaxing to make. Grab a bin or basket (mine is in the photo above) and use it to collect your yarn odds and ends. We have a great crochet along (CAL) community! Please visit and join the Fiber Flux CAL group on Ravelry to get updates, see everyone's progress--this will be so fun to see what yarn everyone chooses! Also, get questions answered, help others, and show off your work. This blanket is a classic granny square. You can make it as big as you want by simply working more rounds. Change colors/yarn each time you run out of yarn as you work through your stash! Round 2: To work the corner of round 2, first chain 3, then 2 dc in same space, then chain 1, then 3 dc in the same space...first corner done! Round 3: Work the corner in the same manner as the previous round: chain 3, 2 dc in same space, chain 1, 3 dc in same space, chain 1. To work the sides, simply work 3 dc in the next space then chain 1...repeat until you reach a corner again. Repeat round 3 as many times as you want to achieve the desired size. Did your yarn run out in the middle of your round? Simply tie on the new yarn and keep going (weave in the ends into the corresponding color--blue tail into blue section of stitches for example). To see a visual of this, check out the video! *I will give an update each season (spring, summer, fall, then winter) to show the progress of my blanket. Please share yours too on social media and in our Fiber Flux CAL group (link above). Happy de-stashing lovelies! This sounds SUPER fun. I have lots of yarn in my stash that I could use.